United States Energy Corporation's high quality products are the result of over 40 years of innovative design and field experience. They manufacture a full line of Diesel Engine & Gas Turbine, electric AC, DC, & Hydraulic driven starters and systems, in addition to DC Alternators and motors. Models are available in Explosion Proof configurations for hazardous environments. Rugged construction assures years of trouble free service...............Their compact design provides easy interchangability with your existing engine starters. Sizes up to 35 Horsepower, plus dual starter applications. 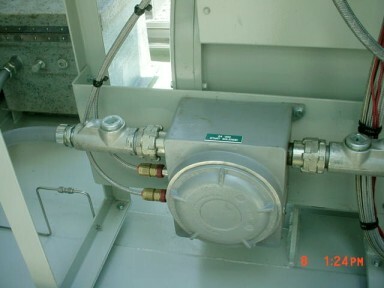 Explosion Proof starters are available for most Genset & Pump engines. Co-Generation & Prime-Power facilities use AC Starters to reduce the reoccurring maintenance on batteries. Start your Generator Set from your UPS System using 480 VAC starters, or even as a secondary safety system should the DC battery or charging system experience a catastrophic failure. Economical: AC three (3) Phase starters allow lower overall installation costs when compared to non-electrical systems. There is no need for expensive air tanks, accumulators, fittings, pumps, air compressors, etc. required by air and hydraulic systems. 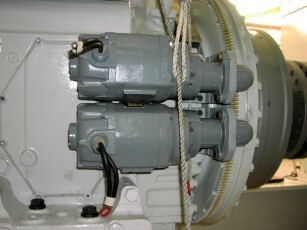 If the compressed air is produced by an electric motor, this added operational cost of electricity must be factored in. 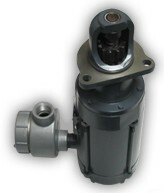 Compact and easily interchanged with existing engine factory supplied starters. 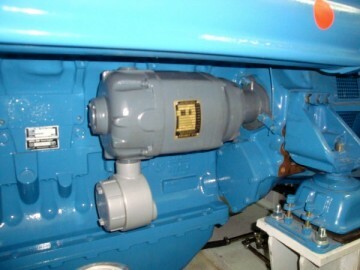 Less bulky: Electric starter motors are generally heavier than air and hydraulic Motors of equal horse power, however, they do not require the bulky support systems such as air tanks, compressors, pumps valves, and fittings found in these systems. 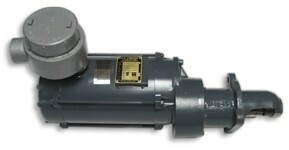 Service & Maintenance: AC three (3) Phase starter motors are virtually maintenance free. There are no brushes to wear out and the bearings are sealed and do not require lubrication. 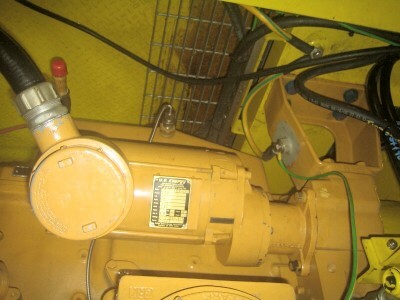 Should repair be required, some minor repairs can be performed in the field; others may require sending the unit to the factory or an experienced motor repair shop. Rugged construction assures years of trouble free service. Multitude of available Voltages: Single (1) Phase 110/220 VAC (50 or 60 HZ), or Three (3) Phase from 208 to 480 VAC (50 or 60 HZ). Even 12, 24, 50, 64, or 125 Volt DC. 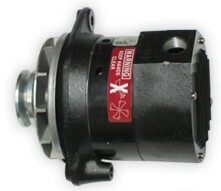 Explosion Proof Group X Starters are direct drive, SAE mount starters for diesel engines up to 1000 C.I.D. and natural gas engines up to 2000 C.I.D. * Up to 55 Ft lbs. Explosion Proof Group III Starters are midrange gear driven SAE mount starters for diesel engines up to 2500 C.I.D. 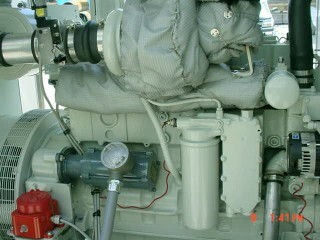 and natural gas engines up to 5000 C.I.D. * Up to 160 Ft lbs. Explosion Proof Group V Starters are heavy duty gear driven, SAE mount starters, and may be dual mounted on diesel and natural gas engines up to 12,000 C.I.D. * Up to 300 Ft lbs. Group III Techno Starters are designed for diesel engines up to 1200 CID and gas engines up to 2000 CID. The powerful Group V Techno Starters can be paired up to provide quick starting for diesel and gas engines up to 16,000 CID. DC Explosion Proof Starter Contactors provide manual Bendix gear engagement for all DC Explosion Proof Starters. Also available for dual battery bank and dual starter applications. * Up to 5000 Amps D.C.
Explosion Proof Alternators are designed for continuous duty applications in all types of hazardous locations and environments providing up to 1200 Watts of dependable DC power. 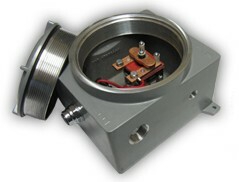 Our explosion proof alternators are available in both hinge and J-180 base design mounting configurations. Depending on your specifications, we offer alternators with either keyed or threaded shafts which are available ranging from .625 inches (15.875mm) to .680 inches (17.272mm). Alternators are available in your choice of a brushed or brushless design. Following NEC Class I, Division II group D standards, our high quality alternators are constructed for battery charging on stationary engines, and other such needs. With solid state voltage regulation in place, our alternators are equipped to handle voltage ratings from 12-24 VDC with outputs up to 70 amps and can be used on almost all engine types, including diesel or natural gas. Starters are available in a wide variety of voltages: 110/220 VAC Single phase, 50 or 60 Hertz, 208 to 480 VAC Three phase 50 or 60 Hertz, or 12, 24, 50, 64, 125, 220 Volts DC.